In January we were thrilled to welcome Matt Brannon to our team! 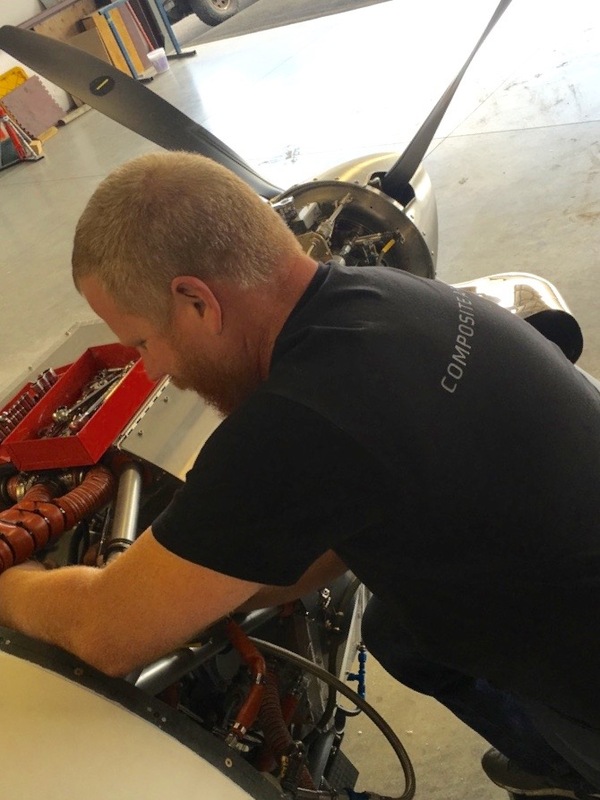 Matt is our Airframe & Powerplant mechanic, through whom we are now able to offer the services of 100-hour and condition inspections, as well as maintenance and repairs of both experimental and certified aircraft. His Inspection Authorization also qualifies him to perform annual inspections for any aircraft, and major repairs and alterations on certified aircraft. With his degree in Aviation Technology and Maintenance from the National Aviation Academy, and experience with eight different aeronautical organizations, Matt is the ideal mechanic for composite manufacturers engaging with aircraft kits. If that’s not enough, Matt is a pilot himself! He holds his private pilot certificate with an instrument rating; this experience has given him a practical knowledge and thorough understanding of the flight mechanism and process. At our hangar in Redmond, Matt oversees the final assembly of experimental aircraft kits, particularly the Lancair Evolution.